He described it as a logical extension of a “zero dollar economy” with roots at least as far back as the first newspapers to sell ads to lower the cover price in 18th Century Colonial America. Such a “zero dollar” business model now allows highly useful services like Google’s product suite and Facebook to operate without charging their billions of users anything, he said. Those companies’ real revenue comes from selling information about you, such as your browsing history, to companies seeking to target very specific demographics with ads. For example, he joked, looking up help for his bad golf swing would immediately trigger a stream of ads for golf coaches and camps in his area. Ellis said his company has determined that a family of four in Chicago who use Google products heavily are worth $5,000 in additional ad revenue to the tech company. Android Auto, which Google offers free, is already one extension of this concept on a vehicle, according to Ellis. In-dash infotainment displays offered by the OEMs are all different and can be difficult to use, he said. But Android Auto behaves similar to the phone operating system with which drivers have a high degree of familiarity. “This has shown to be incredible” for users trying to interact with highly technical automobiles, Ellis said — but where’s your cut for producing all the additional data Google can now sell? “Who makes money on the data?” Ellis said. This can be taken far further, into “zero dollar car” territory with the 100 sensors designed to make the car safer and the ride more comfortable and convenient for the occupants, according to Elllis. “This is an amazing set of sensors,” he said. 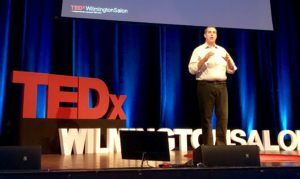 Tech companies understand that this data is “in fact, exceptionally valuable” and can be sold to companies and local governments, according to Ellis. For a company like Google, which has the capability to analyze it and reference it with location and intention, “this data is unbelievably valuable,” he said. This could lead to a hypothetical scenario like the one Ellis proposed Tuesday: Let’s say you just bought a $40,000 car and are about to leave. The dealership gives you the opportunity to for $3,000 sell off all of your data from six sensors — GPS, barometer, traction control, windshield wipers, headlight status and rain detection — for the life of the car. Those six sensors can be combined to generate very accurate weather data around the car, which might be of interest to an agency like the National Oceanic and Atmospheric Administration. NOAA wants federal funding to build weather stations around the country; “Why not buy the data from the cars where the people are,” Ellis said. Maybe you sell suspension control data for another $2,000 to branches of government charged with maintaining roads so they can prioritize repairs, Ellis suggested. And perhaps the hands-free microphone is accessible to companies who want to learn about what you’re talking about for $5,000, he said. Your car is down to $30,000, and you haven’t even gotten through most of the sensors. “And on, and on it goes,” Ellis said. The data your car generates is worth as much as or even more than the car itself. “That is very cool,” he said. But why stop at just the car? Concepts like smart cities and the Internet of Things have led to a boom in sensors located within “previously inert objects” and allowing the physically world to “wake up,” according to Ellis. “We are giving voice to the physical world to talk to us,” he said. Ellis argued that the solution is to treat privacy as a product with a price rather than trying to regulate it. If someone were to buy the car for the full $40,000 in exchange for their data never seeing the light of day, “they’re buying privacy,” he said. Violations of that privacy can be addressed with laws related to product liability and the like. 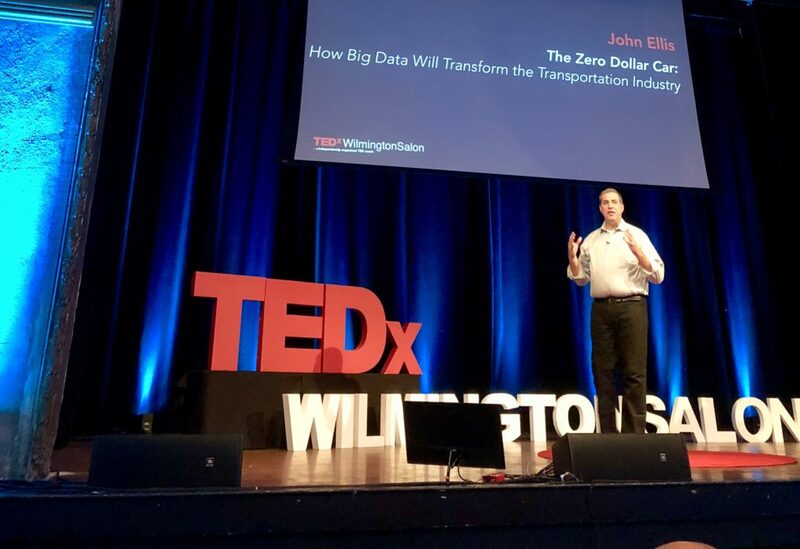 He urged the TEDx audience to, when confronted with a zero-dollar product, “ask for the full-price offer.” This will trigger the true confluence of the zero-dollar economy and transportation, he said: privacy as a product. “All we need to do is dream a little and ask for it,” Ellis said. As noted above, Ellis should be familiar to collision repairers as a panelist on a memorable 2015 Society of Collision Repair Specialists OEM Collision Repair Technology Summit on scanning and calibration — months before the broader industry awoke to both concepts. He returned to moderate OEM and aftermarket scan panels at the 2016 SEMA’s OEM Summit, and he’ll repeat his moderator role this year for what could be the hottest panel of all.